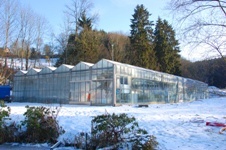 This garden nursery that was founded in Ferrières in 1992 specialises in plants that love acid soil. The great variety in the foliage, the shapes and colours of the flowers have led to an ever-growing passion for these plants over the years. Each year we offer an increasingly wide selection of new varieties which enables us to increase our assortment so that we can offer our customers an increasingly comprehensive list of plants. 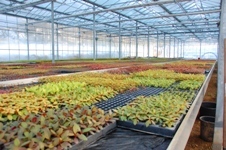 Our production is based on an in-vitro micro technique that has evolved considerably over the past few decades and enables us to propagate and supply top quality plants. This technique also guarantees a regular and uniform production yield year on year for nurseries/growers. Our first concern is to adapt to the demands of our customers. In order to achieve these we ensure regular contact with them in order to ensure that the plants are growing as they should. We are thus able to ensure improvements in the quality of our production each year.